A seat with a large student population due to Hull University being centered in Hull North area, it has seen consistent Labour representation since the constituencies re-inception in 1983. The current MP, who has been in office since 2005, is Diana Johnson. Mike has lived and worked in Hull North for a number of years, becoming active locally since moving to the city in 2000. The city soon became home and it is Mike’s love for the city that has driven him to where he is now – and why he wants better for it in the future. Mike is married to Shirley, who he met in Hull and has one son, Fraser. First elected to the Council in 2002, Mike has a strong track record of getting things done for local people. 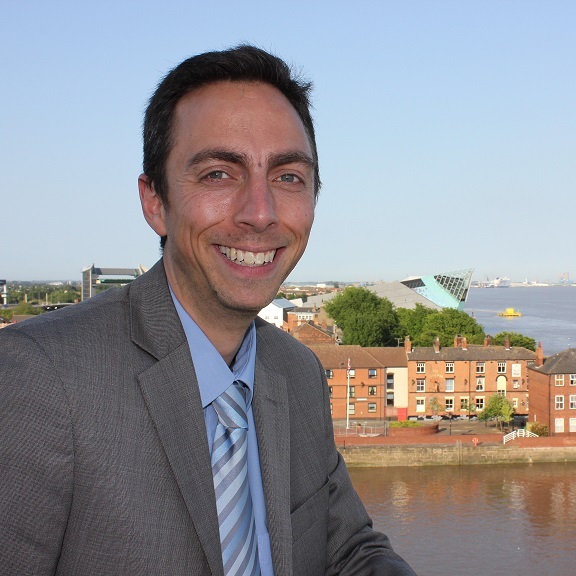 Mike has been a leading member of the Lib Dem team in Hull, overseeing a major school rebuilding programme and efforts to reduce crime in the city. What Mike most enjoys is getting out and speaking to residents, hearing directly from them what life in Hull is all about. What is clear from so many that he speaks to is how Labour have let the city down for too long. Mike and the team are fighting to change that. In 2010 the Lib Dems were just 641 votes behind Labour. Mike knows next time can be better. Mike is already leading the team to make this happen. Locally, Mike is campaigning hard against Labour’s reckless cuts. Mike helped lead a campaign to save the popular Ennerdale swimming pools, signed by many thousands of residents. The pressure of the campaign helped see a U-turn by the Labour administration, leading to a one year reprieve for the pools. Mike is also Deputy Leader of the Lib Dem group on the Council. The team have a reputation for being a strong opposition to the Labour Council, fighting Labour’s cuts. I am regularly going out and talking to residents on the doors. This is an important way of finding out directly from them what is important and what is happening in the area. I know the area and the residents well. I have lived here for 15 years and I care about the area. Austerity is tough and the government has not always gone about it the right way. Should be more focus on those who can pay and not always the poorest. That said, there is certainly a stronger economy now than 5 years ago. Legal immigration is part of the British way. Recently we have seen low inflation. This will help those on the lowest wages. There should also be more push for the living wage to help those earning the least. Less constant change. Allow health professionals to get on with the job. More apprenticeships. Support for businesses to employ young people. Greens have been campaigning solidly in the area for over 10 years. We’re regularly covered in the press and we’re easily contactable. The Hull North electorate already favour Green Party policies the most as policy quiz websites show. We’re already the most ‘in touch’ of the parties. We protect the NHS, we renationalise rail, we want to create over a million jobs in services, healthcare, renewable energy, insulation; we scrap unnecessary schemes like HS2, we scrap Trident, we want to tax responsibly and end foodbanks, promote a Living Wage and end in-work poverty, and introduce a Citizens Income, ending the benefits system and wage slavery, and giving every citizen over £4000 a year. I believe I’m the best candidate because I care deeply about people and planet. Successive Labour and Con-Dem governments have overseen severe and rising inequality across the country, a war on Iraq and other countries, rising poverty and foodbank use at home, and are “deeply relaxed” about exploding wealth for the 1% at home. The Green Party pledges to tax responsibly to provide vital benefits, jobs and services for ordinary people. Diana has been a hard-working Labour MP, Hull’s first female MP, and has no doubt represented many individuals well. As long as people have no problems with Labour policy, they will have little complaint against her. Austerity is a con. After the trillion-pound bank bailouts under Labour, the 2010 government used the idea of austerity to con people that everyone had to tighten their belts. “We’re all in it together” was the mantra. Since then we have seen evermore rapid growth of 1% wealth, compared to a decline in wages in real terms for the vast majority of people. A million people now use foodbanks. Doctors are reporting cases of malnutrition. Most housing benefit is paid to people in work, as opposed to out of work. In its own terms austerity has failed. It’s not turned round the economy but it’s been a handy disguise for attacking services and destroying 800,000 public sector jobs. Decent jobs with decent futures and a worthwhile pension at the end of it. The occasional hailed growth is so small as to be considered flatlining. However, austerity as an idea by which to launch a major attack on society for the benefit of the rich, has been immensely successful. Britain is the 6th wealthiest country in the world. We know where the wealth is. Greens have the political will to tax responsibly and pay for the things the country needs. Without immigration the population would be in decline. Immigration helps us to keep doing the things we do as a society. Currently the NHS is under great stress, underfunded, understaffed, an overstressed staff, and with a big supply nursing bill. Many supply, or pool, heath staff come from abroad. And we need them. A lot is said about how much immigrants get from the state – but in fact they are worth over £2bn a year to the country, net. The taxes they pay far outweigh the benefits they claim. And before picking on immigrants, it’s worth reflecting on the 2.2 million Britons who work across the EU. If we change the rules here, they also will be affected in the countries where they’re working. That’s why keeping a roughly fair system going across EU is the best we’ve come up with. The Green Party Citizens Income seeks to give every citizen about £80 a week, or £4160 a year, as of right. This Green idea is to wipe out poverty and to end wage slavery. It is paid to everyone, it replaces most benefits, and it is retrieved through tax codes starting with the highest earners. The CI would rise with inflation. The Living Wage is the answer to poorer wages and , in most cases, to poverty itself. It is set higher than the minimum wage. Greens in Brighton have got 200 businesses to adopt the Living Wage. Renewable energy schemes could provide free electricity for tenants. A large scale scheme (2000 council homes) is underway in Huddersfield. Regular 8% rises in energy prices, when most people’s wages are declining, are unsustainable. Success for the NHS lies in making and keeping the country healthy. The NHS must be properly funded to do this, yet it has seen cutbacks year after year. The imposition of the internal market where services have to be put out to tender is estimated to cost £10 bn, that’s 10% of its budget. This should be scrapped. The NHS has major economies of scale, so outsourced services should be taken back in house. Privatisation of the NHS should be taken off the agenda. Two wards have been lost to Hull, a Neurology one in Hull Royal and a Cardiology one in Castle Hill. No further beds or wards should be lost. Labour has left the NHS with £300 bn PFI debt bill. This should be met by government, even though a different government cause the problem. The NHS cannot be left with this millstone around its neck. £100 bn of this could be paid for by scrapping Trident, our own WMD – an excuse we lied about to destroy another country. Austerity has been used to close many initiatives to help young people into work, so reversing that would be a major step forward. 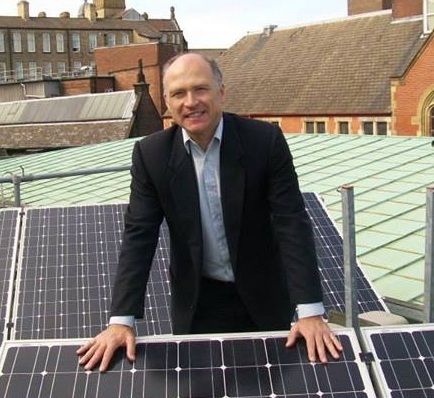 The Green Party aims to create 250,000 jobs in renewable electricity generation, flood defences and insulating buildings. 400,000 jobs in health and care, ending privatisation of the NHS and making social care free for users. 250,000 jobs in free early years education and child care. Creating jobs in the building industry with 500,000 new affordable, good standard homes. Fund local government properly creating 250,000 jobs in vitally needed services. Almost certainly. Female representation went up from 5% to over 20% in 2010, so that’s a major improvement, although clearly a long way to go before Parliament can truly be considered 21st century. Regarding ethnic diversity, there are 27 BME MPs (5%) but not the 117 necessary to reflect UK society, despite some steps forward last time. The Green Party pledges a referendum on the EU – and unlike the other parties,we’d give you it! We’d campaign, though, to stay in, and to reform it. We’d argue to support the greater unity of nations especially through trade and freedom of movement. Two world wars began in Europe. It would be very expensive for UK business to now have to pull out of the EU and jump through the number of hoops necessary for non-members to trade successfully. We’d continue to challenge EU expenses, and lack of signed-off accounts, and keep up the pressure for international finance to be more controlled, taxed properly and for austerity to become a thing of the past EU-wide.